Over the past year it’s given us a look at portions of its potentially game-changing vision. 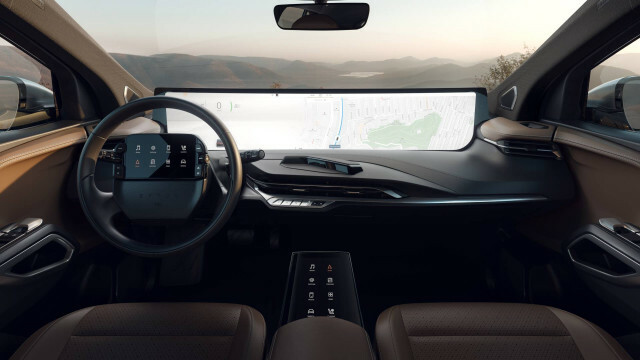 That’s included a dashboard-spanning, 48-inch-wide Shared Experience display, a cloud-based Byton Life ecosystem, and a user interface with built-in Amazon integration. Its target price for its upcoming M-Byte crossover and K-Byte sedan, which are due to go on sale in 2020 and 2021, respectively, is about $45,000, or roughly half that of a well-equipped Tesla Model X or Model S.
What the vision has been lacking so far has been concrete mechanical details on those two models, and details on a third model that it has announced will follow. With that in mind, Green Car Reports sat down for an interview with Byton chief engineer David Twohig earlier this month at CES. Twohig, who joined Byton last March, has an impressive engineering-leadership resume that includes the Alpine A110 sports car, the first-generation Nissan Qashqai, and the Renault Zoe electric car—currently the best-selling EV in Europe. All three Byton models that are in the works will be built on the same platform, Twohig confirmed, and the platform has been developed without any hand-me-down legacy influences. “That’s rare, because usually there are so many pre-existing platforms, a bit of architecture, or maybe a plant that we had in mind—but yes, here literally [a] blank sheet of paper,” he asserted. Byton is about two and a half years along in the development cycle for the platform—and the first vehicle, the M-Byte—and Twohig says that with the end-of-2019 launch and production start that’s being targeted, Byton will have fully developed the vehicle in 39 months. “That for any other carmaker would be damn quick; for a startup [it] would be damn quick; but for a company that didn’t exist at all three years ago, it’ll be impressive,” summed an enthusiastic Twohig. To that point, most of Byton’s core initial management team came not from the tech sector but from traditional automakers. Founder and CEO Carsten Breitfeld is formerly of BMW and brought the i8 to production, and co-founder and president Daniel Kirchert brings sales and marketing experience from Infiniti, BMW, and the Chinese market. “It’s a very unusual approach of having done the architecture for three cars from day one—M-Byte, K-Byte, and this third car that we’re still being a little bit coy about,” Twohig said, hinting that it’s one of the keys to the whole project being viable. - On all three models, buyers will have a choice between rear-wheel drive (with a single motor) or all-wheel drive (with dual motors). - Byton’s platform and vehicles are going to be made mostly of steel, which means they won't likely be revolutionary in weight (or efficiency). The cost of going with aluminum-intensive body or carbon-fiber composites would have been too great for the affordable price tag. 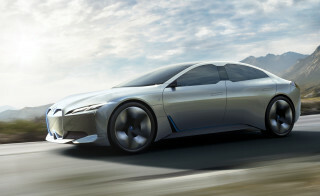 - The M-Byte will be tuned to be a “ride car,” not a performance vehicle. The same will be true of the K-Byte. 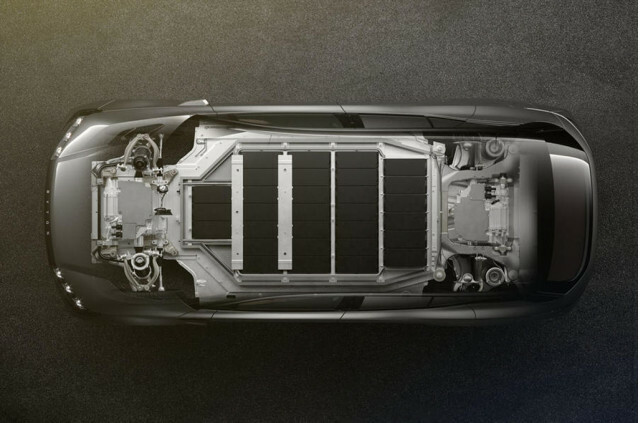 - In M-Byte and K-Byte, there will be one physical battery box that will host two different battery capacities, with modules that drop in to add up to a combined 71 or 95 kilowatt-hours. - Byton’s three vehicles on this platform will use CCS (Combo) DC fast charging. Twohig can’t give an exact power number, but given his hint that a 0-80 percent charge will take about 30 minutes, we’re anticipating 150 kilowatts. - The brand isn't aiming to favor any proprietary charging infrastructure, network, or charging equipment. - Due to differences in frontal area and weight, the range and performance numbers are going to be a bit different between the two models, but they will have “fundamentally the same plug-and-play battery and motor set." - The platform was designed to stretch at certain points without the need to redo seat mounting points, side crash structure, or bolster torsional stiffness. 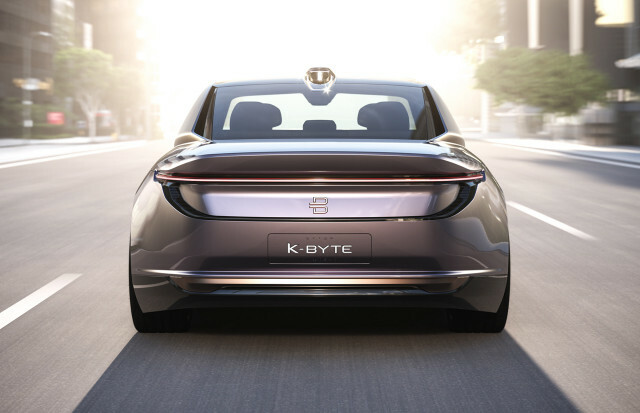 - The K-Byte has only been shown so far in concept form; the actual production car will look a bit different on the outside. - The big across-the-dash screen, from BOE Technology Group, is a bit of a gamble, and something like this has never been installed in a production model and it still needs to go through U.S. and Euro NCAP testing—with the rest of the vehicle, of course. To make this all work, Byton isn’t developing everything themselves. On the hardware side, the automaker is looking almost entirely to a trusted supplier, Bosch. 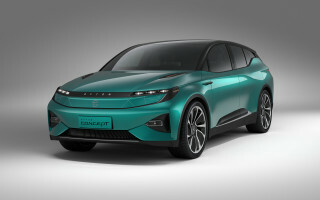 Byton’s relationship with the Chinese battery giant CATL could also prove to be the most fortuitous relationship for getting its vehicles out quickly, on a relatively tight budget. Early in its vehicle development, Byton looked into using cells and modules supplied by CATL—which then became an investor in Byton’s Series B financing round. 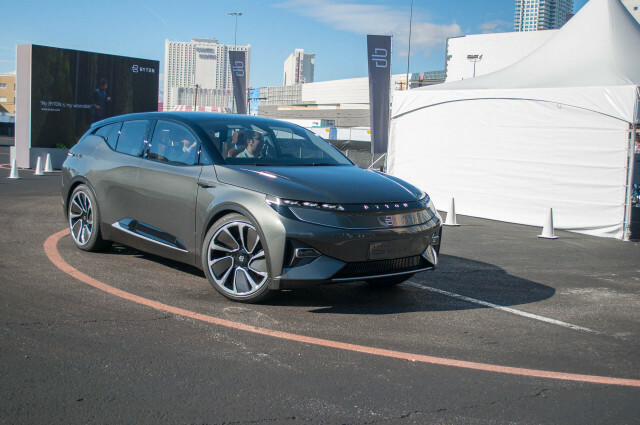 Byton is using CATL as “a main supplier” and in all likelihood the M-Byte will launch with CATL batteries, but Twohig couldn’t verify how committed the relationship is. 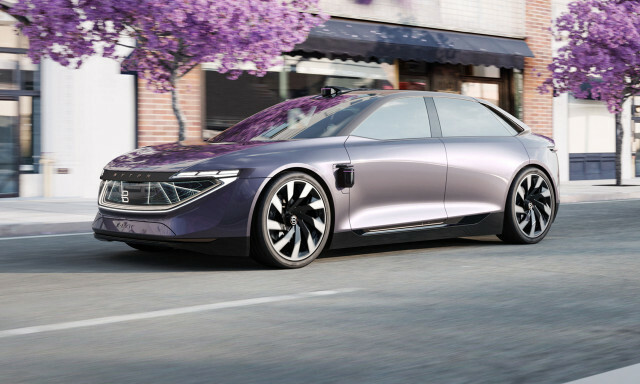 As if to place with us yet another reminder of Byton’s tech-sector relentlessness, Twohig managed to quickly loop our questions about powertrain and power systems back full circle to the interface, which seems to take center stage no matter what at Byton: With Byton’s advanced AI ability, the car will be able to link face recognition—and potentially even expressions—to vehicle and powertrain settings, Twohig teases. It underscores the space that Byton is entering—one in which, more than ever, the impressions of those inside matter far more than what's under the hood or powering the wheels.